There’s nothing particularly complicated about The Belle Brigade. The band, made up of brother/sister duo Ethan and Barbara Gruska, writes simple songs about common themes like being in love, loneliness and feeling like an outcast. The most ear-pleasing quality of the band is the way their DNA-sharing vocal chords are able to vibrate perfectly together, creating full, textured harmonies that seem to rise above the instrumentation while flowing along it. There is certainly something about familial bonds and the way they provide an added connectivity in music that’s just not present in other acts. The album’s best song “Losers” is an excellent example of this. It transforms a straightforward acoustic guitar and vocal piece into a powerful, anthemic rejection of societal opinions concerning those it deems not up to snuff. The opening track “Sweet Louise” is a beautiful number that resists the urge to get too big for its britches (as some of the other songs tend to do), whereas “Shirt” is probably the only song that really manages to pull off the soft-folk sound balanced with forceful anthem qualities as successfully as “Losers.” The album closer “Fasten You To Me,” a song about not letting go, carries out the album after the fun is over, even though we don’t want it be. 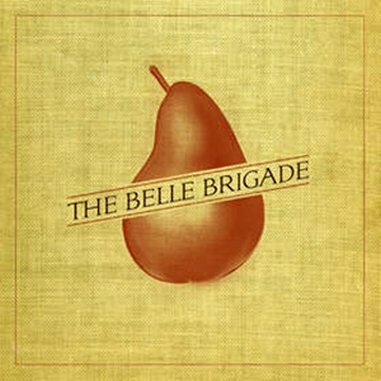 The Belle Brigade is a fine debut album, but it’s certainly not perfect. Few songs come anywhere close to what is accomplished by “Losers.” And there’s a conventional-sounding pop sheen over several songs that detract from the record’s best moments. Still, it’s a fun album full of breezy melodies straight from the highways of California; it’s damn near impossible not to bob along to the freewheeling music the pair has compiled for this first LP. There’s sure to be more of the same to look forward to in the future.